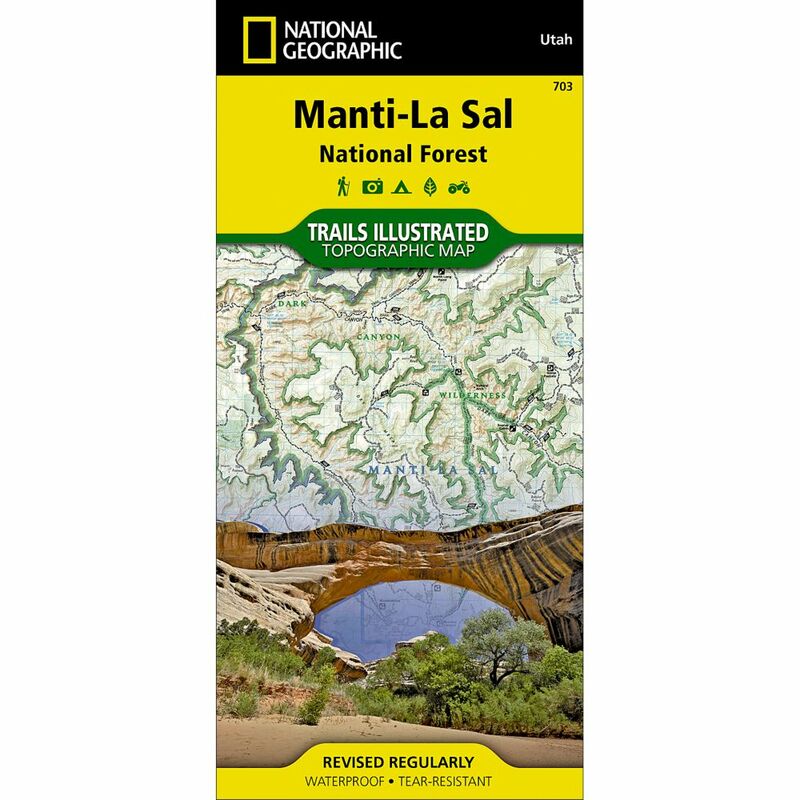 This National Geographic -Trails Illustrated™ folded map is your essential guide for outdoor exploration in Utah's Manti-La-Sal National Forest area. The brilliantly illustrated topographical representation shows all trails, campsites, and recreational features, plus relevant info on wildlife, history, geology, and archaeology. Coverage includes Manti-La-Sal National Forest (Monticello Ranger District). Dark Canyon Wilderness/Primitive Area. Natural Bridges N.M. Monticello, Blanding, Fry Canyon, Blue Mtns., Wooden shoe and Hammond canyons. Indian Creek and Recapture Lake.